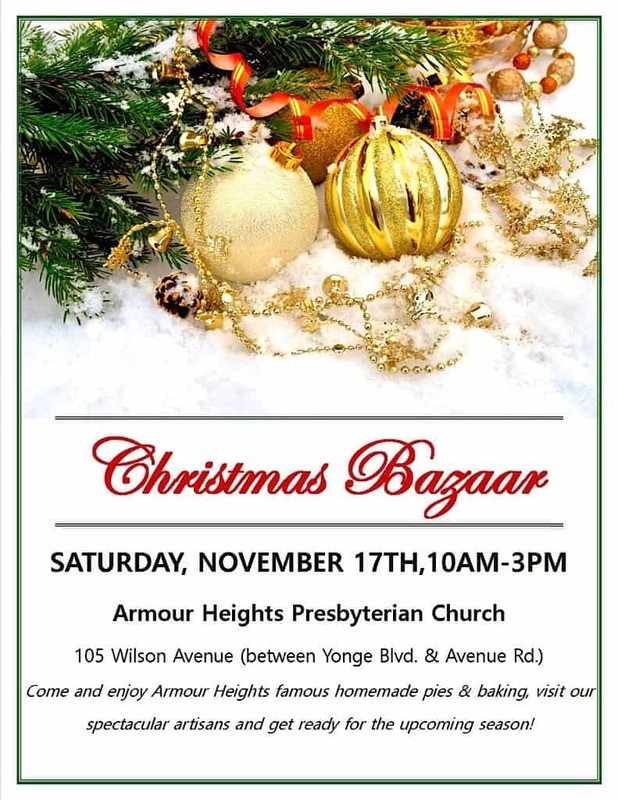 Come and enjoy Armour Heights famous homemade pies and baking, visit the spectacular artisans and get ready for the upcoming season! This is a popular event in our community. They are looking for collectibles, Silent Auction items, silverware, new stuff, etc. – if you can help in any way please contact the church office at 416-485-4000.